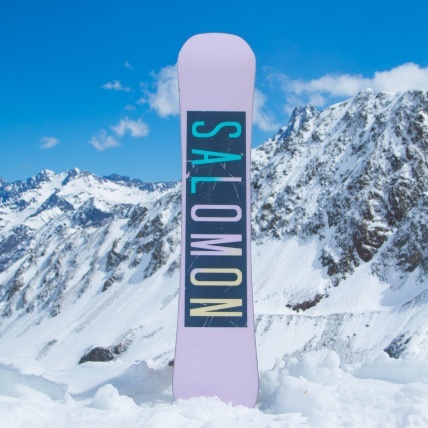 Possibly the most affordable board on the market for the level of tech and performance available, the Salomon Oh Yeah Womens Snowboard is here to show there is no excuse not to get out and riding in the white stuff this season! 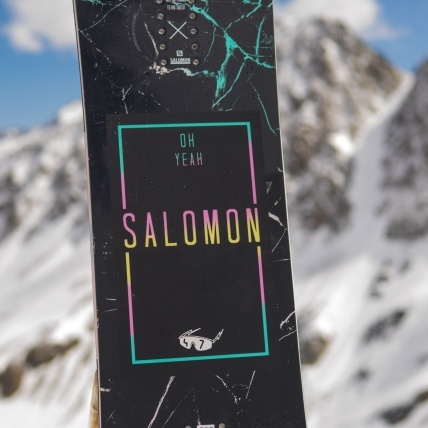 With a super surfy and skate like ride the Oh Yeah specialises in providing the stoke and the ability to play with and on everything you come across on the mountain! Side hits galore Salomon have really made something special here! 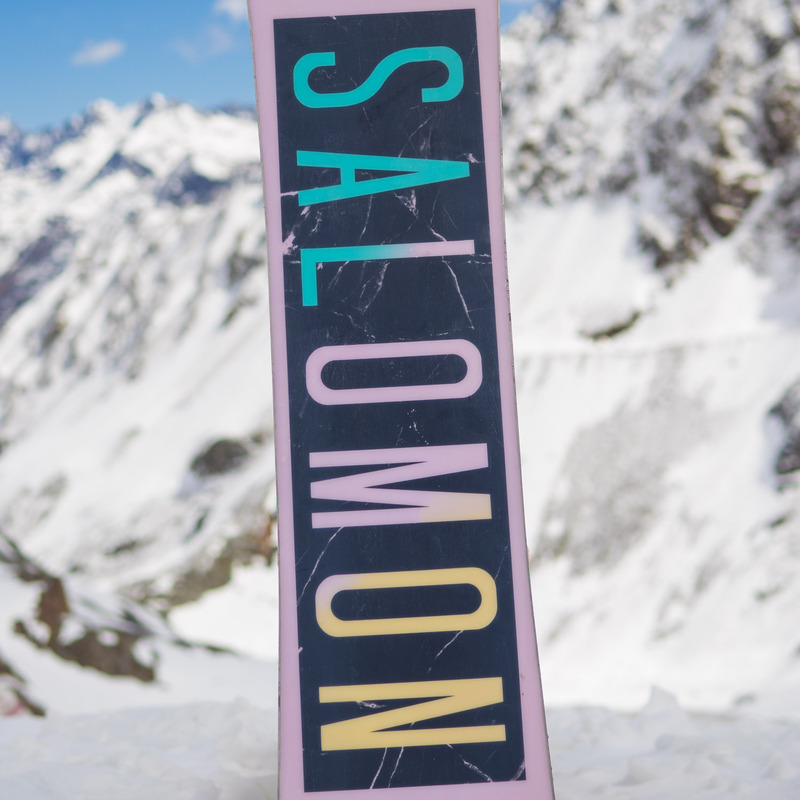 Beginner friendly all the way to the advanced park rider, anyone can jump on this board and take a moment to appreciate it! Starting off with a true twin shape and a Rock Out Camber Bend the Oh Yeah is flat between the feet fora super stable and responsive ride while underfoot camber allows for a better generation and transfer towards the tips of the board. 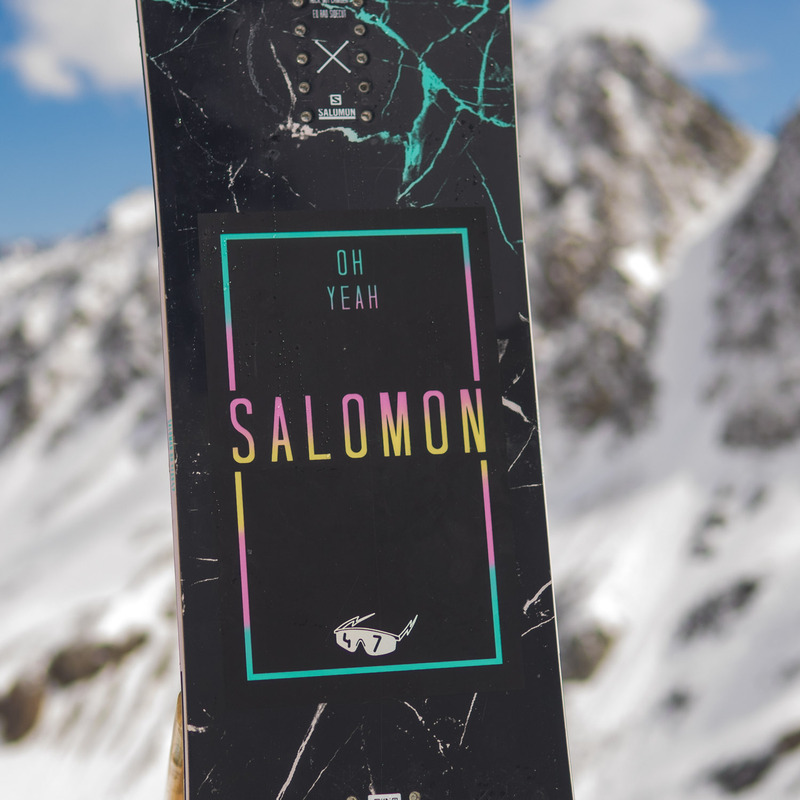 With a rockered tip and tail the Oh Yeah keeps your nose out the pow while also offering a much more catch free and forgiving ride! 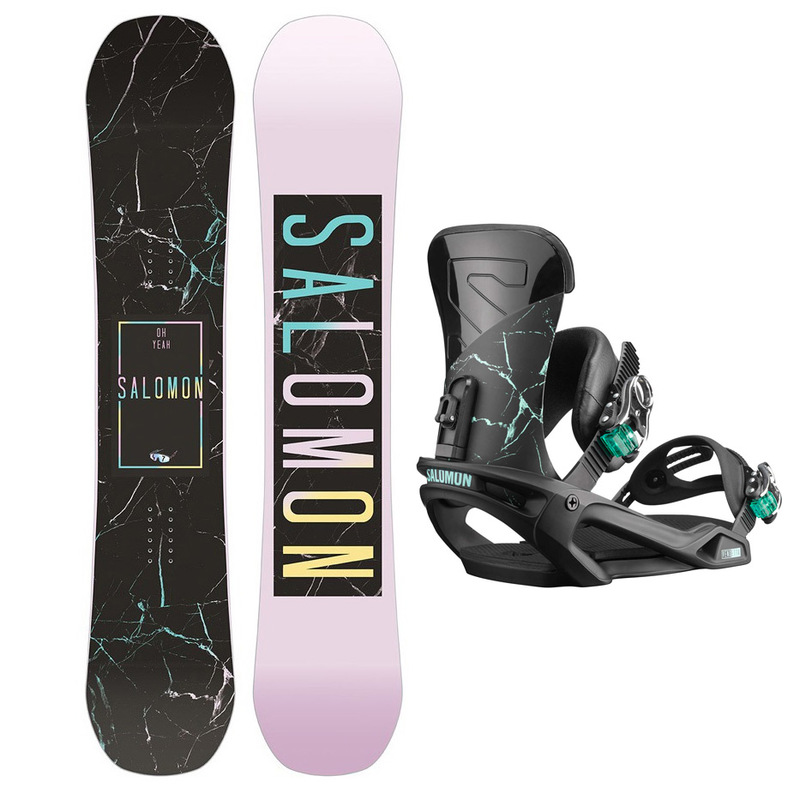 With an EQ Rad Sidecut to distribute pressure across the board and remain consistently responsive, this board also uses heavy duty rubber pads in sections of the rails, underneath your feet to dampen any vibrations and chatter! 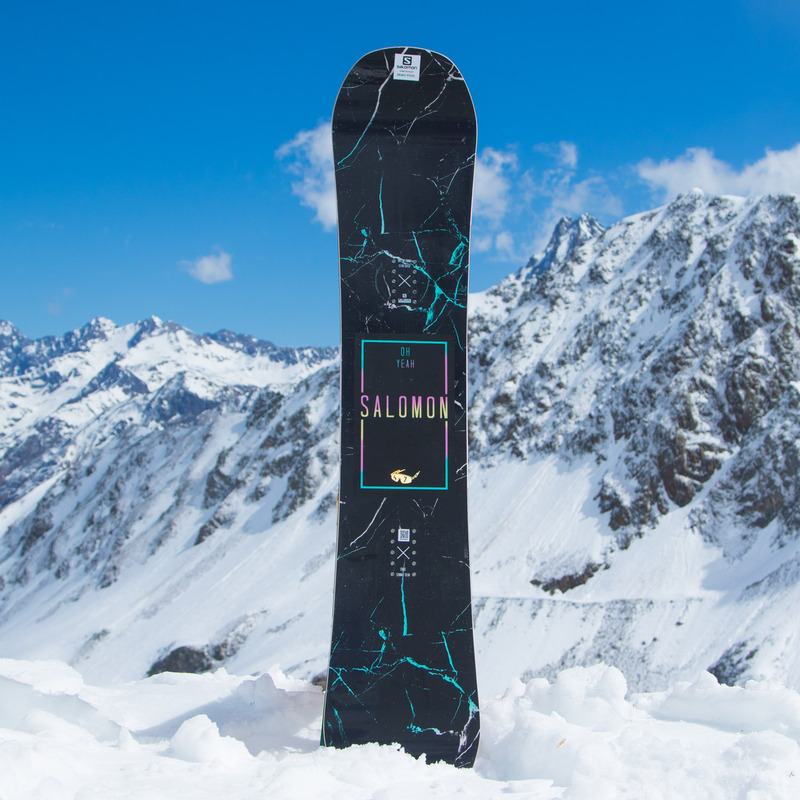 Push your ollies to the next level with a high density FSC wood, Aspen Strong core using carefully selected wood grains to ensure superior impact resistance, snap and pop! Featuring a highly durable and low maintenance base and a super soft flex the Salomon Oh Yeah is the ideal board of choice for anyone starting out snowboarding, anyone sending big street spots and rails or those who like to spend most of their day in the park! 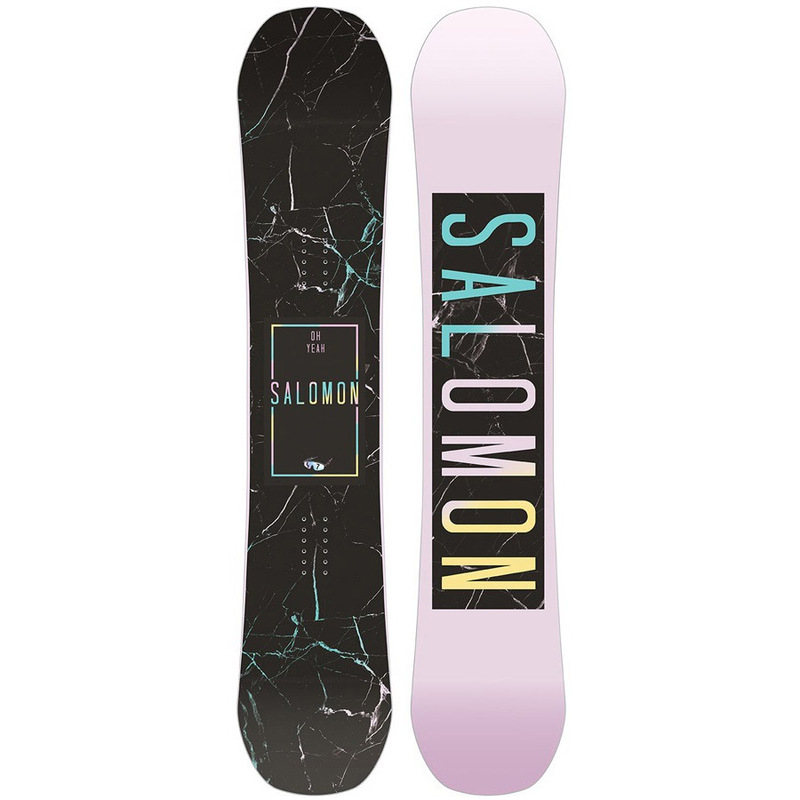 This Board is available in a package deal! The Salomon Oh Yeah Snowboard and Vendetta Black Marble Snowboard Bindings for only £349! Click HERE to view the package deal!